Whenever you use your iPhone or iPad for browsing, all the session history is stored. All previously visited websites will be remembered and data will be saved accordingly. iPhone and iPad use these information to improve your user experience. Although the intention is good, what if all these information fall on the wrong hands or your device is stolen? Some websites might even store your private information on a cookie. These include your personal password and your bank account details. 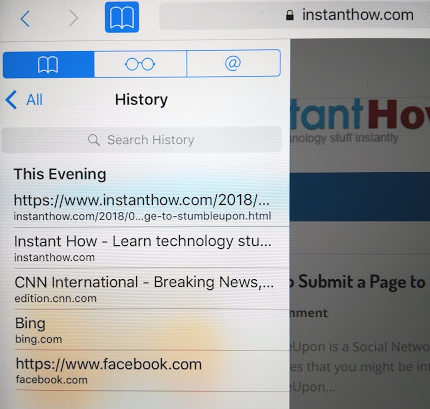 In the following guides, we'll teach you how to view your browsing history and also to delete browsing history on iPad and iPhone. Open your Safari browser. Then tap on the bookmark icon (refer to the photo below). On iPad, this icon is located at the top left and on iPhone it's at the bottom of the screen. Once you tap on the bookmark, you shall see three options are available. Tap on History to proceed. You'll then see the list of websites you've previously visited and they are grouped according to your browsing date. 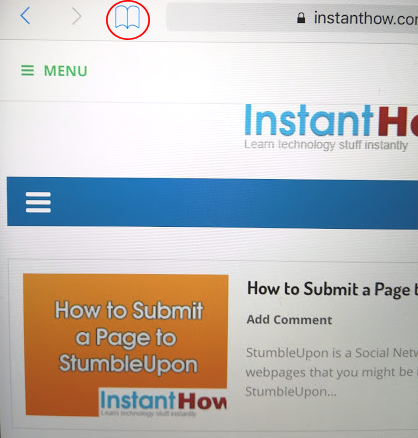 To delete an individual entries, swipe to the left across a URL until you see the delete button available. Tap on the delete button to remove. 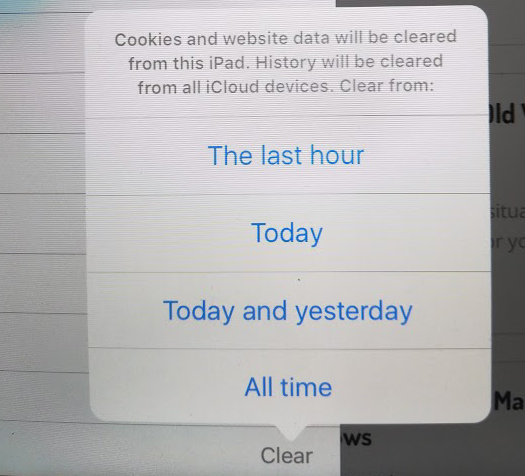 You may also clear history based on the last hour, today, today and yesterday or all time. Simply tap on the Clear link at the bottom for this option. You can also delete your browsing history and data under the Settings. 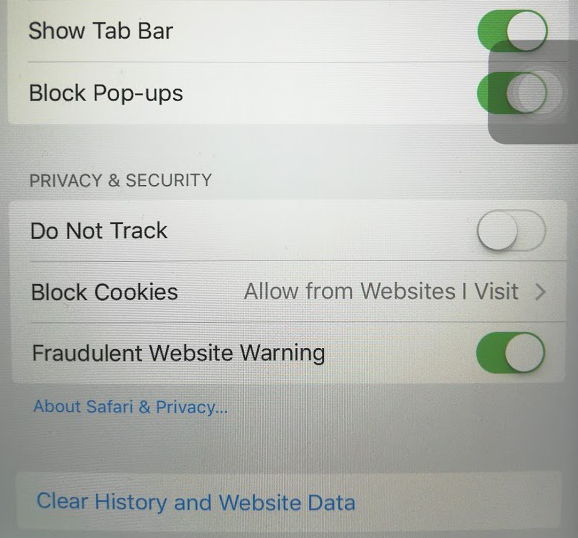 Tap on your device Settings, scroll it down and tap on Safari. Look for the option, Clear History and Website Data. Tap on it. It will then ask you to confirm whether you would like to Clear History and Data. 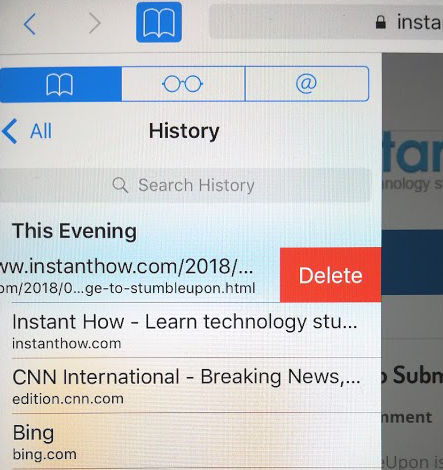 Tap on Clear and this will remove everything including history, cookies and other browsing data on your device.